Thayne-san, today we’re going to visit Benmatsu in Nihonbashi. 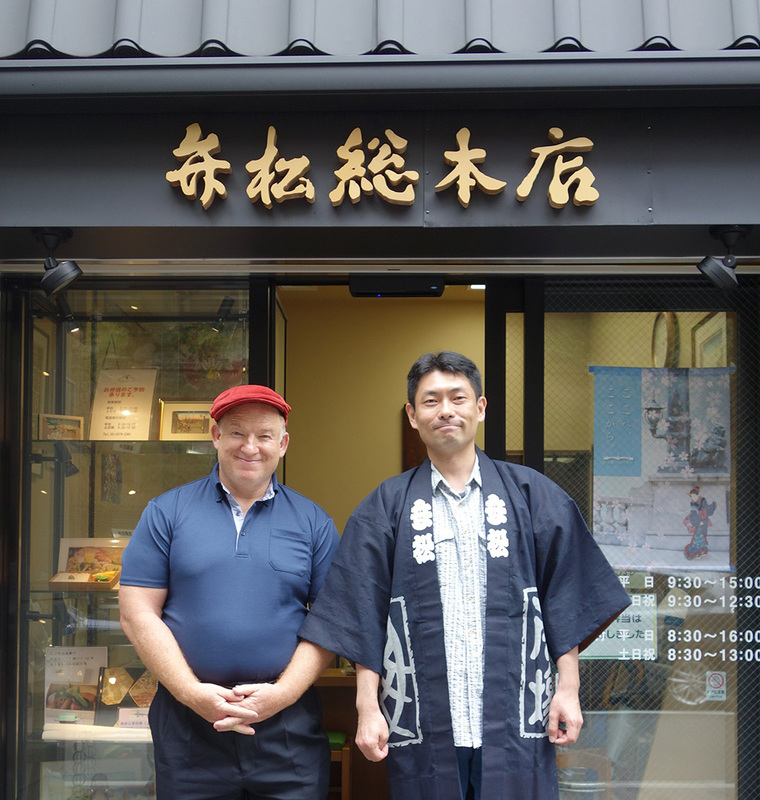 It’s a bento lunch shop that was established in1850, so it has over 160 years of history. But rather than go straight there, we’re going to get a Benmatsu bento from the department store, and then let’s have lunch in the park! Wow, there’s grilled fish, sweet omelette, fish sausage and boiled vegetables… What a feast! It comes with a dessert too. It’s bean kinton, and that’s delicious too. A selection of Benmatsu bentos. Now let’s go to Benmatsu. Hello. Higuchi: Hello. I heard that you ate one of our bentos before coming today. Thank you. It was really great! The rice and the side dishes were both delicious, and the scent of the wood used to make the box was really nice. What kind of wood is it made from? Higuchi: It’s Yezo spruce from Hokkaido. We use sustainably harvested wood, but in recent years there aren’t many bento shops that use boxes made entirely of wood, including the bottom of the box. The rice that sticks to the bottom is really delicious, so that’s a shame. I suppose it’s because of the cost. 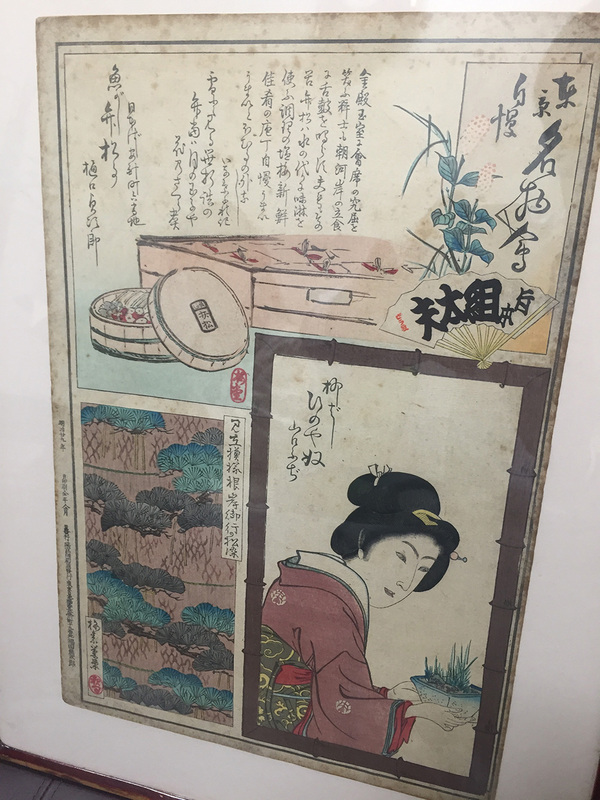 But, even so, if you want to enjoy flavors of the Edo period, you have to get a bento from Benmatsu. The side dishes have a strong flavorーI really like them. It’s a flavor Americans will definitely enjoy. Higuchi: Thank you. Ours have a salty-sweet taste. The old fashioned “deep flavor” is completely different from modern day light flavors of today’s bento. Higuchi: Yes, as a cultural experience. I want them to try eating it as something special, like Maybe I’ll try one of the Benmatsu’s bentos that have the flavor of the Edo period. The truth is that the ingredients and seasonings aren’t exactly the same as they were during the Edo period, but we’ll still call it the flavor of the Edo period. I see. But if you made a bento with a lighter flavor, you could earn more money. Don’t you think about it that way? Higuchi: Of course we’ve thought about it, but at some point we realized that it wouldn’t be Benmatsu anymore. If we expand our business, our expenses would also increase, so it would probably just make us busier, not more wealthy. Family businesses are strong. Even now, I can run the business with just the members of my family and three or four workers. Higuchi-san, you work in the shop every day too, right? At 2:00 in the middle of the night I’m already at the workshop near Eitaibashi in Koto Ward, working with the staff there. And in the morning, when I go from the workshop to the main store in Nihonbashi, I pass by the office workers all commuting in the rush hour.And I always think, Their lives look so difficult, I couldn’t do that. Haha. But it must be difficult to have a different lifestyle than everyone else. Higuchi: Honestly, it’s tough work. I can only sit down and talk with my children on my days off, and it’s difficult to find time to play with them. Did you have any hesitations about taking over the business? Higuchi: None at all. For a long time, we lived above the shop, so when I was a child there was always the smell of side dishes being boiled and grilled when I woke up in the morning. Maybe the smell left an impression on me. How many bentos do you make every day? Higuchi: On weekdays, from 1,200 to 1,500. On weekends and holidays, up to 2,000. If there’s a festival or large event, we sometimes make more. In spring, we make flower viewing bentos, and rice cooked with seasonal ingredients like bamboo shoots, fresh ginger and matsutake mushrooms. We’ve begun to make bentos that are a little different from those of my father’s days, but our strength is the standard bentos made with grilled fish, sweet omelette and boiled vegetables. It’s better to avoid doing unnecessary thingsーthat’s my way of thinking. I believe my job is to keep raising the standard of these basic bento. Tell us the knack to making bento that taste like a truly good bento. Higuchi: The important thing is to cool the rice and side dishes immediately. The longer you leave food at room temperature, the higher the risk is of things going bad and bacteria that cause food poisoning breeding, so we cool it immediately to get it below that temperature quickly. I thought you cooled the hot food gradually to that temperature. There’s a lot that goes into a bento. 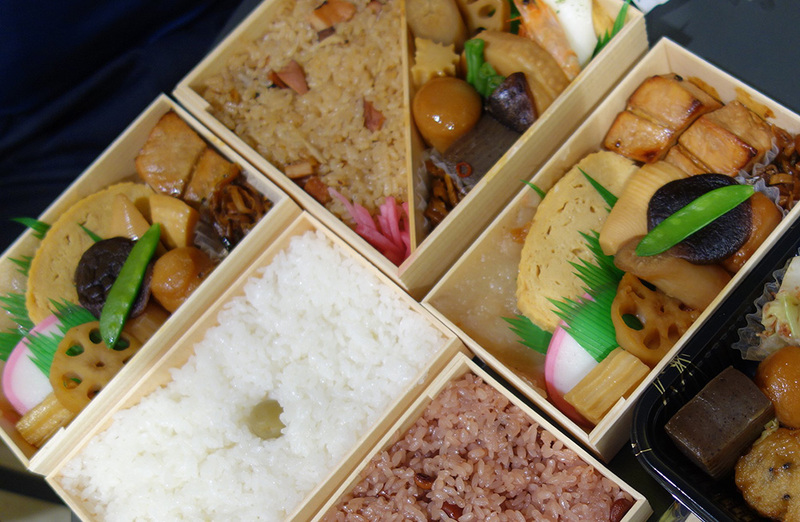 I want the many travelers who come for the Tokyo Olympics to try Benmatsu’s bento. They’re delicious, and you can taste the seasons, and they’re even packed with Edo period culture. Higuchi: I hope you can do something to help me promote them!